Social media is a hugely valuable marketing platform. However, you need to stay constantly active if you want to build and leverage a strong following. This means planning out your content in advance, then using a social media scheduler to automate the posting process. Setting up an automated schedule this way lets you ensure there’s always enough content, and that you are able to post consistently on each platform you’re looking to target. Plus, it saves you a lot of time. Best of all, doing this is simple – as long as you have the right tool. In this guide, we’ll talk briefly about why a social media scheduler can come in handy. Then we’ll teach you how to use our own Revive Old Posts plugin. Let’s get started! It’s hard to argue against the importance of social media as a marketing tool for your business. There are now more than 2.8 billion social media users across the globe. This is a market you’ll definitely want to tap into. However, doing this successfully requires more than simply posting to Twitter and Facebook once in a while. To get the best results, you’ll need to add new content to each of your target platforms frequently and consistently. 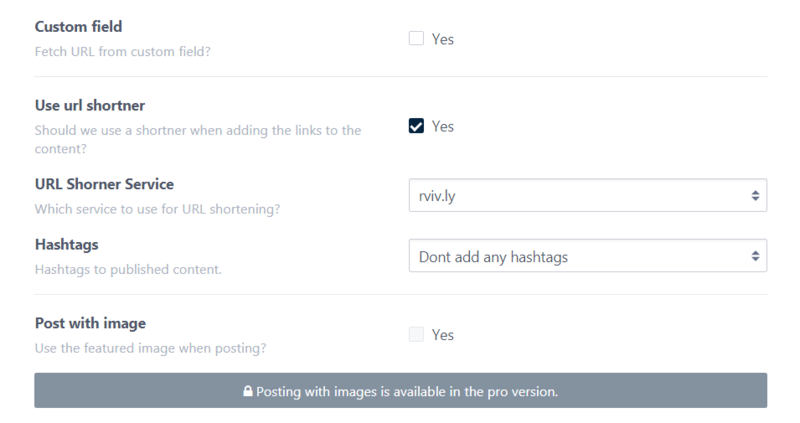 In previous posts, we’ve explored how often you’ll want to post on specific platforms. In addition, we’ve offered advice as to how you can create an effective social media calendar. Of course, actually keeping up with the calendar can be a challenge, particularly if you’re trying to build an audience quickly or target many different sites. That’s where a dedicated social media scheduler comes in very handy. This kind of tool helps you turn your content posting plan into a reality. It enables you to decide exactly how, when, and where you want each new piece of content to be shared, then automate the process. There are a host of benefits to using this technique. You’ll save time by not having to post content manually, and you’ll be better able to stick with a consistent schedule. Plus, you don’t have to worry about forgetting to share at a particular time or on a specific platform. So without further ado, let’s look at how a social media scheduler works in action. By now, it should be clear that using a social media scheduler is key to running a successful content marketing strategy. All that’s left is to set up your schedule and put it into action. The first thing you’ll need is a tool to let you set up an automated posting schedule. Few platforms include this type of functionality out of the box – not even WordPress. When looking for the right solution, you’ll want to hone in on one offering lots of customization options when it comes to designing the perfect schedule. It should also be integrated with all the platforms you’re looking to target, and of course, it needs to offer automation features. You can easily try out the free version of Revive Old Posts, which is available in the WordPress.org Plugin Directory. This is the plugin we’ll be using throughout the rest of this walkthrough. However, for even more options and functionality, check out the premium version. To get started with Revive Old Posts, you’ll need to install and activate it on your WordPress website. Next, you’ll want to connect it to each platform you’d like to include in your content posting strategy. There are a number of screens here, and we’ll go through the major settings shortly. For now, check out the Accounts section. This is where your connected social media sites will appear. It’s empty right now, of course – to change this you can click on Add Account. 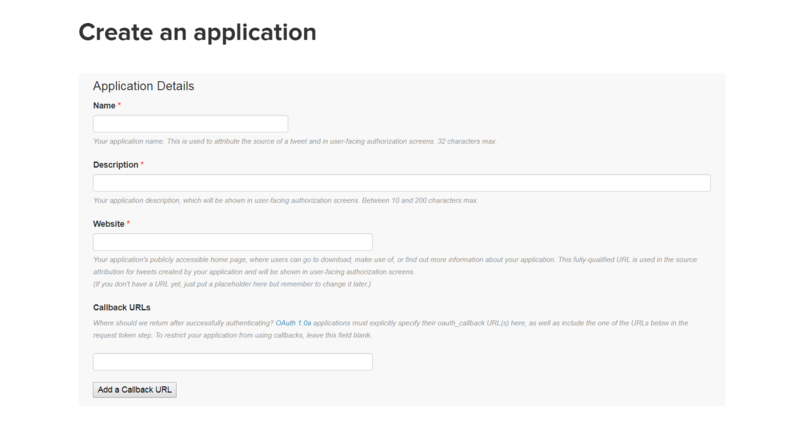 You can give your application whatever name and description you like. Under Website, enter the main URL for your WordPress site. Then, under Callback URLs, you’ll need to add the address of your Revive Old Posts dashboard screen (for example: https://yourwebsite.com/wp-admin/admin.php?page=TweetOldPost). Keep in mind that if you’re already logged into your account on the same machine, you won’t be required to do so here. You’ll just need to provide authorization. You can follow a similar process to integrate with Facebook, LinkedIn, and Tumblr. If you’re using the premium version of the plugin, you’ll even be able to connect to multiple accounts on the same platform. Once you’ve installed the plugin and connected your platforms, it’s time to configure your social media scheduler. All the settings you’ll need can be found under Revive Old Posts > Dashboard. You can set how many hours should elapse between shares, decide whether you want to only post new content or older content as well, and even have more than one post shared per platform at a time. This is where you can tweak how each post will look when it goes live. You can choose what will be used as the post’s title, decide how long the accompanying message will be, and even add custom text. All of these settings can be configured for each individual platform and account, so your Facebook and Twitter messages will look distinct. Once you’re happy, click on the Start Sharing button in the right-hand sidebar of your Revive Old Posts dashboard. This will start up your automated schedule! You can always come back and make changes at any time. 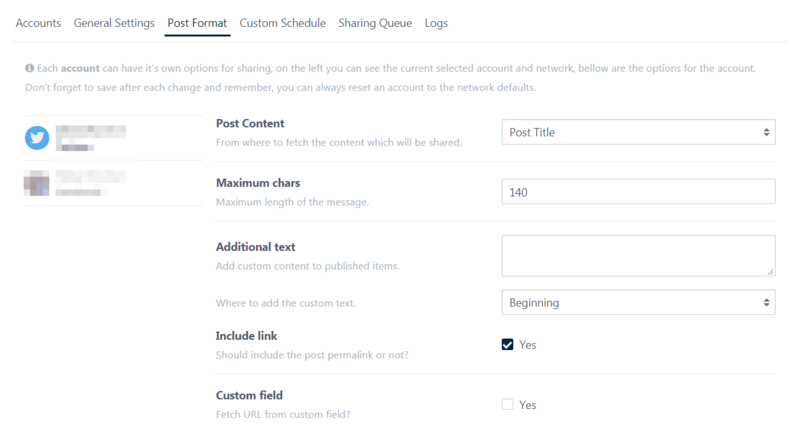 What’s more, you can see posts to be shared soon in the Sharing Queue tab, and any errors that occur under Logs. However, for the most part, you can now leave your social media scheduler to do its job on your behalf. Sharing your content on social media can take up a lot of your valuable time, especially if you’re targeting multiple platforms. Fortunately, there’s a better option than crafting each message and posting it by hand. Instead, you can use a social media scheduler to almost entirely automate the process. Choose a dedicated social media scheduler. Install your social media scheduler and connect to each platform. Set up your social media posting schedule. Do you have any questions about how to use Revive Old Posts, or how to configure your social media posting schedule? Ask away in the comments section below! The post How to Use a Social Media Scheduler to Streamline Your Marketing appeared first on Revive Social.